As the name says, it will provide the things that are needed by a baby in each month they are earnings and the growth that is happening in their body. All of the indispensable materials are all here in the list where the online shopper can just click on the products that will be given as a gift or as supplementary things that is needed in nurturing the development of a baby. you may also see Checklist Templates. The online checklist that will provide all the items from feeding, bathing, apparel and even other security goods so you can avail online so you will no longer go to malls to stroll around and wait for a long line in the cashier. You can also see Onboarding Checklist Templates. 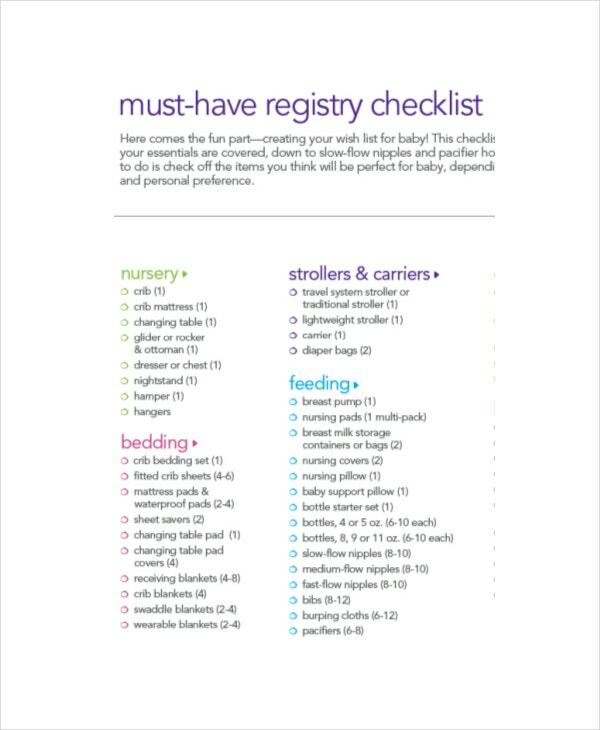 The worksheet where you can enter all the details you want to add as your things to buy for a baby for any occasions that may come in a year. It will provide you enough space and format so you can enter each item in itemized arrangement or even in Checklist Templates type form that can complete your entire shopping list in no time. 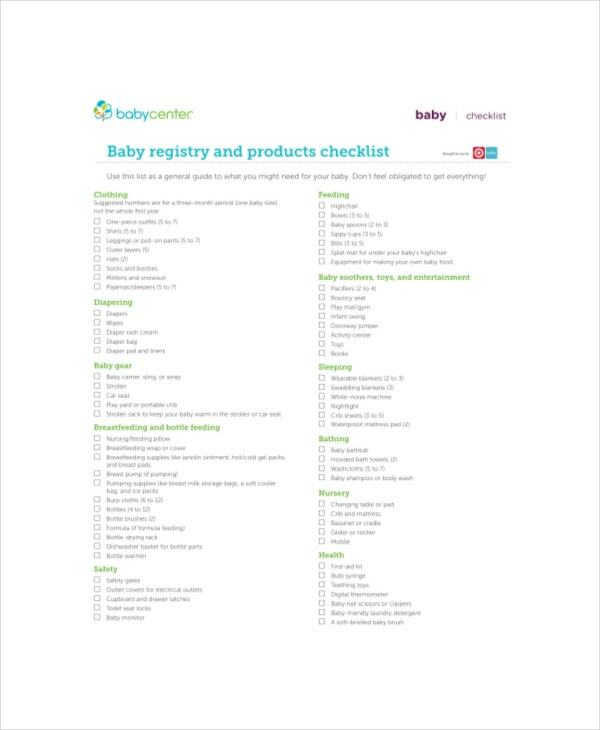 Free essential baby registry checklist can give you the whole set up and formats you need for the list of good you want for an online shopping. 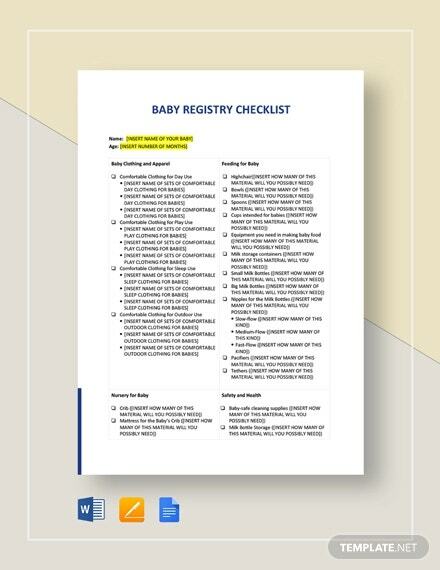 Here you can take the features that can aid you in creating your own wish list for a baby to have when they are about to take their first baby shower of birthday. 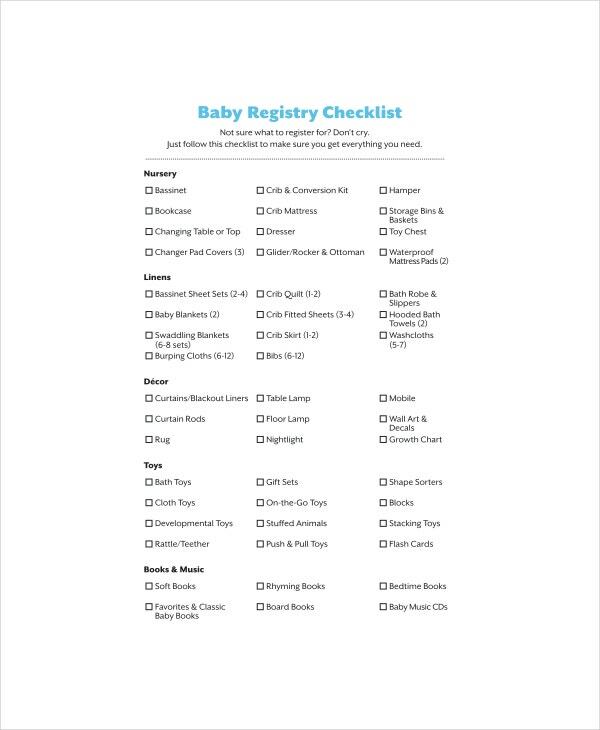 Using the excel program, a baby registry will be a lot faster as the format has already all the table format or tabulated layout that can quickly lay down all the items brand that will be given for the newborn. It has all the tools that can take anyone in providing the proper checklist that can accommodate for the purchasing of goods that will happen online. 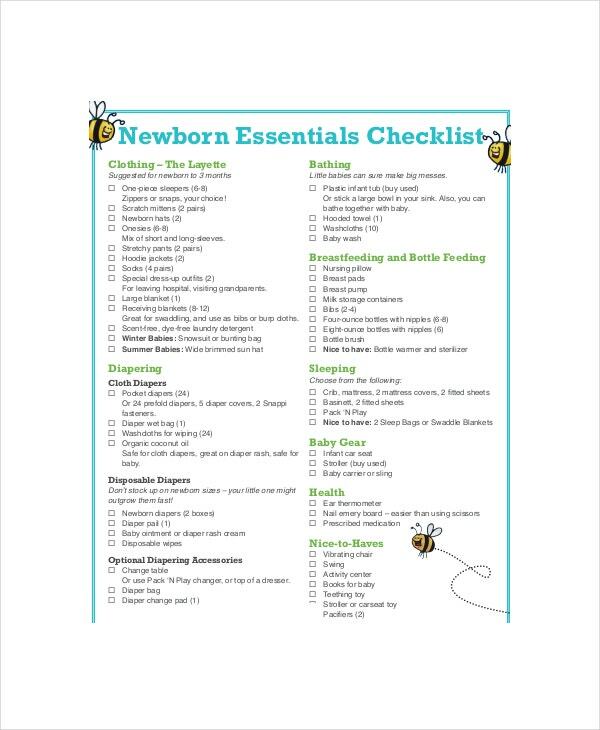 It will give the online shopper of the list of items they did not even think that will be used for caring a baby, it will save them a lot of money spending from temporary things that will be just thrown away after a week or two as the baby is still growing. It will only show the practical goods and necessities that will help any parents or baby sitters when they are about to take the responsibility in watching over a baby. 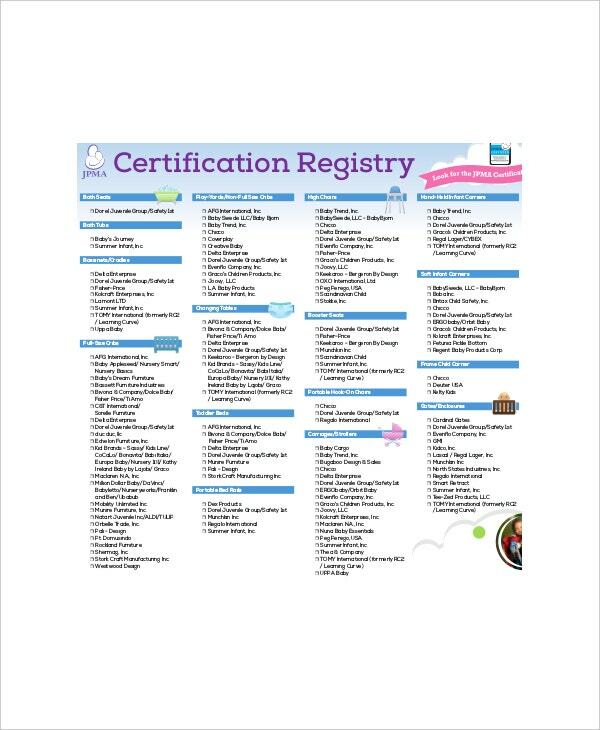 You can also see Wedding Checklist Templates. Its main appearance is that it only gives the basic baby necessities and goods that are all available online. You are sure that you are in the right place as the websites show some suggestions and recommendation by other online shoppers to which is to pick so you can have the great deal that you are looking for in an online purchasing. You can also see Inventory Checklist Templates. 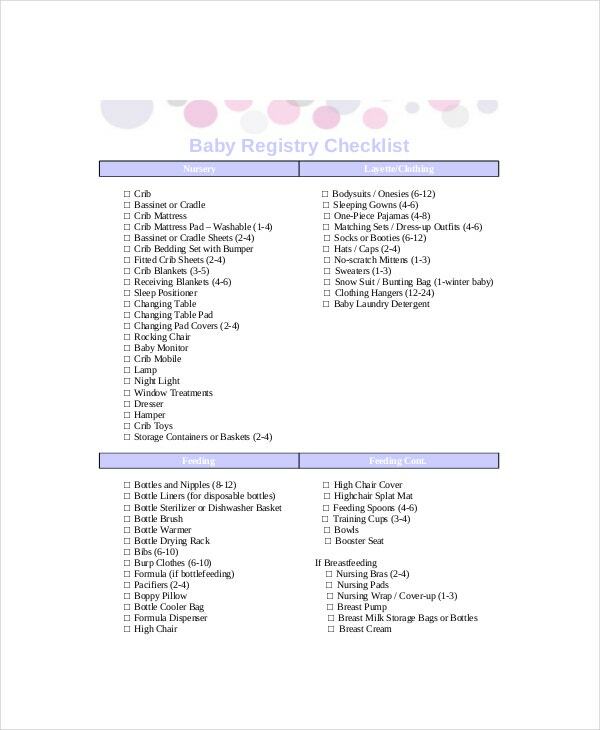 Choose only the things that are needed for the long duration when looking out for your baby as their things only last for months like their clothes so buying them a lot of it means you’re just throwing money in trash. You can also see Training Checklist Templates. You can get the content of the checklist in Microsoft word, excel and pdf file. It can be arranged on the list of goods that are for sale and where the online user can take the grasp of the checklist function as a whole.